For a comfortable living, you try to get easy yet elegant furniture, cozy cushions, air conditioners and heaters to fight extreme weathers. However, are you sure, it is sufficient? Feeling cold even after shutting the windows and doors does not fit your plan. The insulation is essential here to block the heat from escaping, and disallow the entry of freezing air from outside and vice versa. Its role is vital in saving energy from excess exhaustion. Besides, from every corner of the house, a garage equally requires insulation. You might think of avoiding this space to save on the expenses of its insulation. However, you might be unaware of the fact that this one-time expenditure would save on the constant bills of energy consumption. Even from the perspective of aesthetics, this idea might seem incorrect and unnecessary. Compromising with the beautiful and custom-made overhead door might not be very convincing. Now try viewing it from fresh new perspectives. Is the garage door one of the main entries into your house? Or is it the workspace where you daily spent hours working and laboring for better living? A simple garage door is not enough to protect the interior from the outside harsh climatic conditions unless it is an insulated model. If not, then it requires superior quality insulation to save energy and protect you and family members from extremities. This would complete and satisfy your idea of comfort, so if you are still stuck in thoughts, it is time to take spontaneous and necessary action. Fiberglass: Batt insulation involves sheets of fiberglass with paper or foil on one side to disallow the penetration of air or vapor into the garage. The best way is to stuff this blanket like an insulator into the huge panels of the doors or ceiling joists and cover other large areas. Loose fiberglass is of use in little openings, cavities and becomes vital to cover up unfinished walls. It is a DIY task you can manage while methodically engaging in it. However, ensure not to cause any damage to the door. Otherwise, you need to garage door repair immediately. Foam board insulators: The depth of these ranges between half-inch to one inch and have one side of aluminum or vinyl sheet. Less in thickness, yet rigid and tough panels with high insulating value, made up of polystyrene these are very popular. These might as well fit your budget and would be comparatively easy to insulate yourselves. Cellulose: Like loose fiberglass, loose cellulose is also available for filling in the cavities and finishes the unfinished walls. It requires a blower to puff this material into the openings, although it is difficult to manage if having no prior practice. Avoid calling the garage door repair near me, and hire an expert for this type of insulation. The process involves selection of right material type that serves the purpose well to the following steps. You need to take the accurate measurements of the panels, check the depth of the insulation and other gaps. While doing it yourself, it is vital to follow the manufacturer’s instructions. While batt insulation and foam board insulation might be manageable for an amateur, blown-in cellulose, insulation needs an expert to conduct it accurately. Besides the insulation, boards or foams add considerable weight to that of the garage door. If not distributed equally all over the door surface, might affect its balance. Added weight might also cause unnecessary and extra tension in the garage door springs. 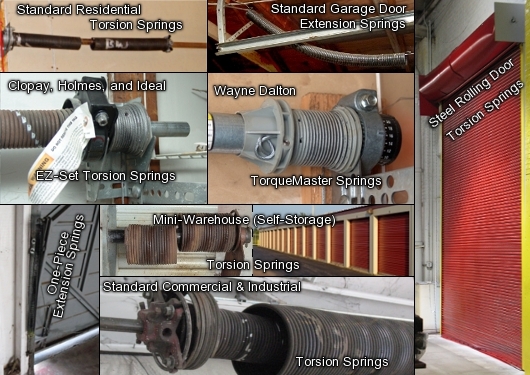 To avoid the fees for insulation you might as well have to pay for the garage door spring repair. The ideal decision would be to call a professional for this job and get a cleaner result. Look for garage door service companies nearby whose representatives cover different tasks- from insulation to repair and installation of the garage door. You may visit Garage Door Mart Inc. and avail their experts for all your troubles and glitches with the overhead doors. The ideal case would be to buy an insulated door, which would save additional charges. If none of the garage door companies in your city provides similar product, then wooden doors should be the first preference. They work as insulators but to a certain extent. For those living in cities with extreme climates, insulation becomes a necessity. In such situation, it is best to get the insulation done while the garage door installation. Call for experts like the ones from Garage Door Mart. Inc. who can handle both the tasks effectively.